The District MTV Yearbook 2013 was created to find the next generation of talented young creatives and Northumbria graduate, Sally Hewett, has been placed firmly in the spotlight. Sally, originally from Middlesbrough, has already caused a stir in the fashion world by winning the coveted Topshop Graduate Design award earlier in the year. She is currently enjoying a year-long placement with Topshop, and District MTV has had its eye on her work for some time. William Oliver, Editor, District MTV said: “We really wanted to focus on the next generation of rising creative stars with the District MTV Yearbook 2013 and Sally really fits into that perfectly. Since catching the attention of District MTV – a digital arm of MTV that brings fashion and music together - Sally has been profiled among other national and international rising stars – including designers, photographers, filmmakers and writers. Sally said: “It’s amazing to be asked to be a part of the District MTV Yearbook. To be interviewed and featured alongside other creatives from different backgrounds and industries is great. I have always been a supporter of District MTV and admired their eye for what’s going on in creative culture, so it’s a massive compliment to be a part of it. To find out more about Fashion at Northumbria University in Newcastle, visit www.northumbria.ac.uk/design. To find out more about District MTV visit www.districtmtv.co.uk. A Northumbria University student has been named as an inaugural winner in the Graduate Design Programme – the latest initiative to support graduate talent. 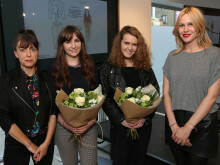 Graduates from Northumbria University, Newcastle have been recognised by the ‘Oscars of the fashion world’, for their award winning degree show work. 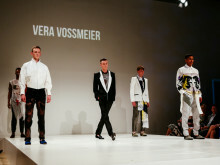 Sixty years of fashion excellence at Northumbria University was celebrated in style at BALTIC Centre for Contemporary Art when students unveiled their catwalk collections at this year’s Graduate Fashion Show. Northumbria University, Newcastle returns to Graduate Fashion Week (GFW) in London this weekend with final year students showcasing their stunning designs to the public, media and industry elite. 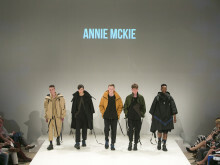 Final year students from Northumbria University celebrated sixty years of fashion in style with more than 20 award nominations at Graduate Fashion Week 2015 in London. 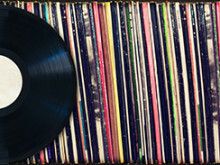 Dr Lee Barron, Northumbria University, Newcastle, discusses the comeback of vinyl.